SKU: daf4cdc00dbb Perfume Category: for women and men. 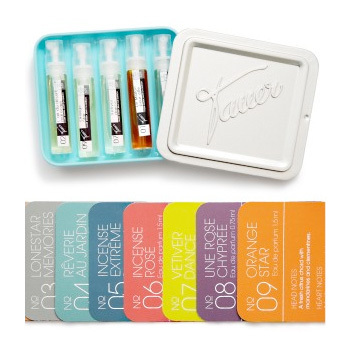 Fragrance Brand: Tauer Perfumes Notes: Ambergris, Clementine, Lemongrass, Mandarin Orange, Orange Blossom, Tonka Bean, Vanilla. Orange Star is the ninth fragrance by Andy Tauer, created on the contrast of fragile orange blossom and thick amber notes. Fresh mandarins and clementines open the composition, orange blossom and shiny lemongrass are in the heart. The oriental base is composed of ambergris, tonka beans and soft vanilla. 09 Orange Star was launched in 2010. When I first smelled Orange Star, I was struck by two seemingly conflicting impressions: that it was nothing like I had imagined, and that it smelled instantly, eerily familiar. Orange is the star of this one alright, and that’s the case all through the development, but especially in the opening there’s another accord that’s at least as prominent, although it’s not mentioned in the official notes: incense! More specifically, except for the orange side of it, it smells almost exactly like the sweet, heavy, (borderline overly) rich incense that’s used in catholic mass. Which is a scent I can appreciate in small doses from time to time, but not my first choice for a perfume note. It’s a little more on the masculine side of unisex than I prefer at this stage as well. Still, unexpectedly, I find I’m rather into this orange candy flavoured incense opening, and more so the more I wear my decant. So already, Tauer has expanded my perfume horizons once again, and the best part is yet to come! As it dries down, the incense accord calms down and Orange Star gets closer to how I imagined it: a delicious orange incarnation of that wonderful velvet smooth base I’ve come to associate with this line. Performance is great as well; like every other Tauer I’ve tried, this one also stays clearly present all day, with an intensity that’s just right. I’m glad I tested it mainly after this summer’s long heatwave finally broke, though: I think it’s much better suited to the mid-season than to the warm months. I’m not sure yet whether I’ll reach for this one very often, but there’s no doubt I admire it very much. 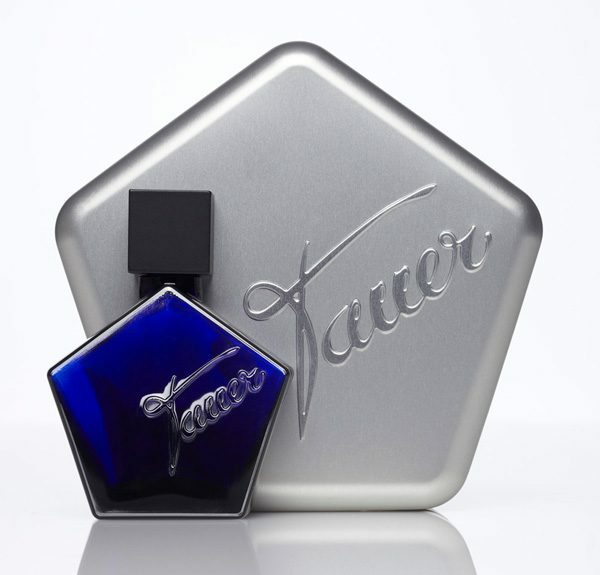 Tauer really seems to be something of a perfume lover’s dream brand: all of their scents, at least the ones I’ve tried, are very high quality, complex and utterly intriguing. They’re no crowd pleasers, they take some getting used to, but once you do you’re unlikely ever to get sick of them. I can’t wait to explore this house more. Unique fragrance. A bit heavy for me, but I like it on men skin. I feel tonka beans with citrus all the time. OH MY GODNESS. I am in Love with this one, my boyfriend smells me all time, its clean and exotic and oriental all at the same time, masterpiece. At first I got an artificial type orange smell, like a child would enjoy, and then it quickly changed into a scent that had two major elements, the orange one (which became less artificial smelling) and what many might call an “old lady perfume.” I’m not a huge fan of orange, so I prefer something like vintage Boucheron Pour Homme EdP (which has a base that’s more complex, though similar). Since I already have a bottle of that one, there’s nothing of interest in Orange Star for me. If you like orange and this type of “old school” drydown, it might be for you, though. I didn’t get much tonka or vanilla but it’s been on for less than 2 hours so one or other may emerge with force at some point. Orange Star is Andy Tauer’s idiosyncratic take on the ever-popular floral fruity genre. It opens with a bold burst of candied orange that is sweet with lightly spicy nuances. The orange is accentuated by sharp lemongrass, adding to the effervescent texture typical of so many Tauer offerings. 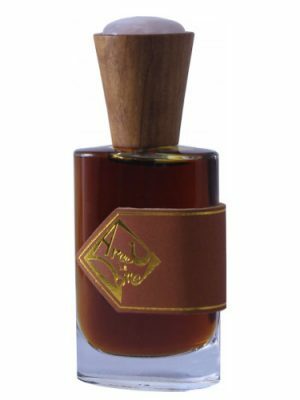 A rich ambegris note adds saltiness and, later, a fullness to the dry down. Orange Star’s floral nature only comes out in the heart, when creamy orange blossom starts to quietly harmonise with the ever-present candied orange. By some kind of alchemy, Tauer has managed to make the orange note last all the way to the soapy-spicy dry down. Longevity is excellent, as is projection. Overall, it’s an excellent, unusual and highly wearable citrus floral. After the orange starts, a beautiful umber follows. I felt a bit weak with the first orange scent in cold weather. But in the spring and summer I think exactly right. I want this full bottle. Want a burst of good energy? Then it’s a must try! This fragrance is a true Mimosa cocktail – fresh ripe orange juice with sparkling champagne, lying upon AT signature base. 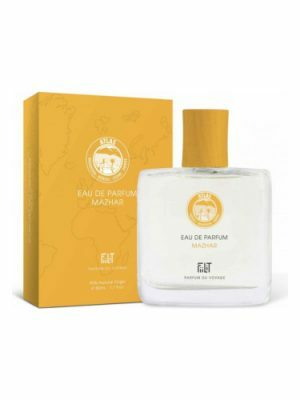 A bit dusty, a bit fresh, a bit happy, a bit mysterious, a bit of L’Air du desert Marocain, simple and complex at the same time, very Andy Tauer 🙂 Love it! I’ve got very strong candied orange. It is beautiful, strong, and quite different from all the orange perfumes I’ve smelled. It’s not for me, but I’d recommend for anyone who enjoys orange notes. Bitter Orange Peels + Tauer’s Incense Extreme = Orange Star. This is the most apt way I can choose to describe Orange Star, if one is familiar with Tauer’s Incense. 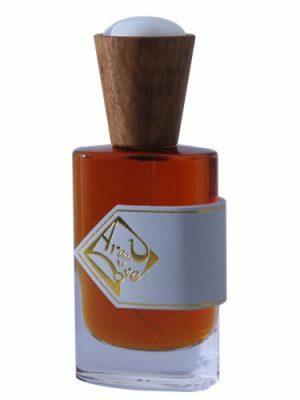 Andy Tauer has a signature mark of making all his perfumes feel a tad lonely but self-satisfied and Orange Star is no exception. Tauer’s Incense is the Coldest Incense, I ever encountered. Think of a Monastery deep in The Himalayas. The smell of the Calm and Silent Prayer Hall, with all the heavy Incense sticks burning below the Huge Buddha on a lonely afternoon. The style is meditative. Now add some Bitter Orange Juice and give it a fresh twist. There you get Orange Star. Simple but Brilliant. Unique in every way possible. The only disappointment, for me, with this is, it remains very close to my skin after 3 hours and almost make me forget. Something between like n love. My husband tried this scent and it took him back to his college days. At first he thought it reminded him of a cologne he wore at the time, and then he realized what the memory connection was. He said Orange Star smelled a lot like the deodorant urinal cakes used in his dorm restrooms. Either those deodorant cakes smelled fantastic, or this cologne/perfume isn’t so fragrant. 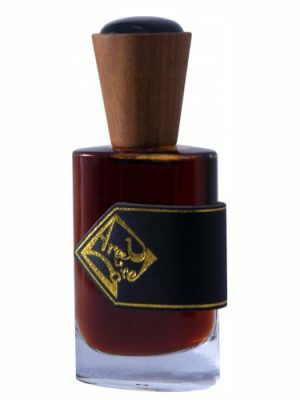 The reason I ordered this sample was because we both really liked L’air du Desert Marocain. Unfortunately, Orange Star does not compare. Open a smell very realistic bark aroma followed tangerine clementine juice with a floral touch of pale orange that blends with a note that cinnamon is great. According to development it is gathering consistency appears a sweet, warm, very pleasant and seductive amber that transforms the fragrance and engages with a synthetic chord soap very gentle drying balancing amber and transforms it into something like the smell of vintage soaps barbershop. Very nice and perfectly balanced Orange Star is second to none if you want something original tangerine flavor based. Andy Tauer’s fragrances are often under appreciated. Many describe his scents as too strong, too bizarre and too obtrusive. I once had a conversation with an owner of a perfume boutique who vowed never to sell Tauer perfumes because they were too much of an acquired taste. Well I never! 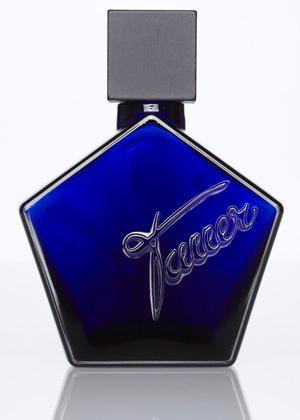 Those of you too scared to try Tauer’s fragrances you don’t know what you’re missing out on. Not one of his scents have disappointed me yet. Just when I though Eau d’Epices was the perfect smoky citrus scent along came Orange Star. The name Orange Star has had me intrigued for years. I adore the scent of orange blossom, particularly on a warm Summer’s night and since the very beginning of my perfume journey I’ve been on the hunt for the perfect orange blossom scent. Orange Star is definitely up there as one of my favourites. This fragrance opens with crisp, naturally sweet mandarin orange peel. It’s refreshing and re-energising on the skin making it the perfect fragrance for a sun filled day. The unique ambergris accord adds a delicate touch of incensey goodness. In many ways Orange Star reminds me of another delicious orange and incense fragrance, By Kilian Sweet Redemption. In the heart and drydown a strong soapiness comes into play. It’s an addictive blend of citrus, soap and incense that is so unlike anything you’ve ever smelt before. 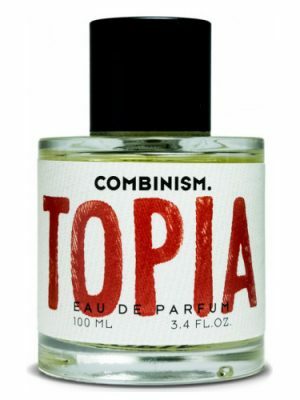 I have admittedly been spritzing this fragrance on after showering to fully appreciate its clean aroma. To sum it all up Orange Star is glorious, a burst of sunshine on a cold Winter’s day. In addition to smelling divine, Orange Star will last on your skin all day. Even after showering you’ll still be able to smell hints of Orange Star lingering on your pulse points. I’m in heaven. Opens with a mix of sour orange, lemon grass and something sweet. It is almost sparkling. Ambergris is coming through, giving it a briny feel. The ambergris is amped by a little bit of ambroxan. I smell something spicy as well, cinnamon maybe. The oranges now tone down and the focus is more on the ambergris. 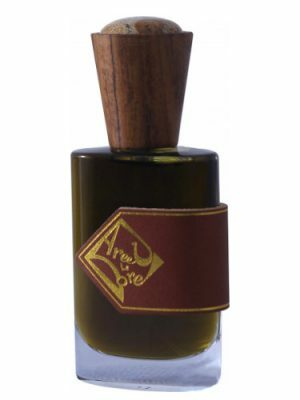 Drydown is a soft orange with ambergris base, slightly sweetened by vanilla and tonka and a tiny bit of powder. Sillage is moderate to heavy on me, longevity moderate. Quite an original combination, a sultry, briny orange. The ambergris gives it an edge, which I like. The ambroxan behind it I don’t like, it doesn’t work with my skin chemistry. I can’t wear this myself, but I’d love to smell it on someone else. Smells like candied oranges at Christmas. Orange Star is another superb fragrance from Andy Tauer. It starts with a full blast of citrus, (mandarin and orange). The dry down is a mix of citrus, vanilla, ambergris and tonka bean. Very pleasant fragrance, with very good silage and longevity. Like all other Tauer fragrances spray with caution, only 2-3 should be enough for this powerhouse. I haven’t tried many of the Tauer’s yet, but right from sniffing the sample atomiser before spraying I could identify that this was “taueresque” with the perfumeurs signature standing loud and clear. I was dubious about Orange Star because even without spraying the smell emanating from the sample bottle was very strong. I had a tempestuous relationship with LADDM in the beginning though, and that turned to love with me lusting after a FB so I was willing to give this one ago. My first wearing however was not a success. But then I tried the new “Phi” and fell in love so it seemed only fair to pay a return visit to Orange Star. This scent goes on STRONG there is no doubt about that and it projects big time – one spray, under clothing, and it pretty much fills the room. Longevity is also well above average – even 4 hours after spraying this one is projecting like mad and previous wears lasted a full 12 hours or more. And all those things would be great if I actually liked the smell! As it is there is something that sits uneasily with me about this perfume. I don’t know quite what it is and cannot put my finger on it but I find it unsettling somehow – there is a scent memory, some unpleasant association that I cannot quite grasp. The scent itself, is very “Tauer”, there is a slight fizziness a la Noontide Petals, though much muted, there is a dryness as there is in LADDM, there is a fullness about the aroma – it plays a chord not a single note. But it is a chord in the minor key, offputting, disturbing, uneasy. On paper this scent should work for me. I love big scents, I love orange, orange blossom, tonka, vanilla, I have enjoyed ambergris in other scents, I eventually fell for LADDM and I adored PHI both of which share the Tauer blueprint. But this one sadly does not work well for me. I think the overall image it conjures is one of cleaning products. In fact I think that is it, furniture polish! It is the scent of being a child on Sunday afternoons in the late 80;s, we have all eaten a roast dinner together sat around the table and now the dishwasher is on, Mum is cleaning down the kitchen work surfaces with disinfectant and Dad is polishing the wooden table – Thats what this smell is – wooden furniture polish with a hint of kitchen disinfectant! Now I know why it doesn’t sit right on me – that is not how I wish to smell!! I wear perfume for the sensual experience, I want a perfume to seduce me, take me by the hand and lead me to the land of enchantment. Orange Star first said I was pretty, then punched me in the face, grabbed me by the hair and dragged me to its cave. No, thank you! 1970s bathroom detergent. Sampling this was a nice trip down memory lane but I don’t need a full bottle for that kind of experience. Smells like soapy orange peels and orange blossom. Just OK for me. Usually a fan of Tauer perfumes. I wanted so much to like this one, too. Sadly, the top note smells like Ivory Soap on me, and the heart note like Comet cleanser. I gave up before the base note. Tauers take on orange blossom has a lot of mandarin and clementine in it, so much that it becomes “sticky”, the same way oranges feel sticky if you spoil some juice on your fingers. 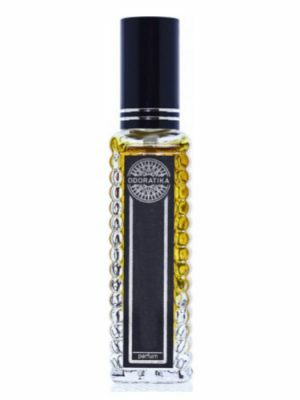 Ambergris adds depth and Vanilla/tonka bean adds sweets, and there is probably some of Andys signature incense here as well, but not so much and not at all “dry” and ashy as in some of his other fragrances. Strong, thick, juicy, well blended and longlasting. Not a bad fragrance, but not a personal hit for me. For an orange blossom on vanilla, I prefer Sweet Redemption. This review is based on a sample from Tauer Perfumes. It’s basically orange marmalade + incense. Kinda reminds me of Incense Rose without the rose. It has moderate projection (arm’s length) and good longevity on my skin. The sillage is a BEAST. Use a light hand with this one. I pretty much get a really lovely laundry detergent. It’s fresh, clean, and soapy. It’s well blended and I was unable to pick out any one note over the others, it’s just a beautiful blend of citrusy florals to make a beautiful laundry detergent. Childhood reminiscences … soap … the heat of a wood stove … candied fruit orange. Particular, pleasant but nothing exceptional. 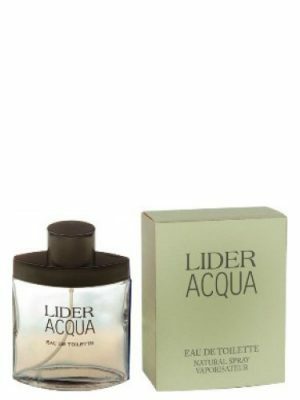 I especially wanted to try this particular Tauer fragrance, as I am not really too fond of citrus scents,in general. I wanted to give this an all day wearing, and see how it develops. I was quite surprised at the very beginning, as I could distinctly pick out the mandarin straight away. It lists clementine as well, and this appeared a bit later. The first 30 to 40 minutes was all about the oranges, and very nice sun drenched type oranges. Almost like walking through an orange grove with the hot sun on your back. I picked up an occasional wisp of smoke, it seemed to just drift in and out, which makes this scent more interesting. An hour or so, into the wearing, A very woodsy note appeared. It really complimented the oranges. I seem to think the smokey accord could be due to the violet note, but can’t be sure). 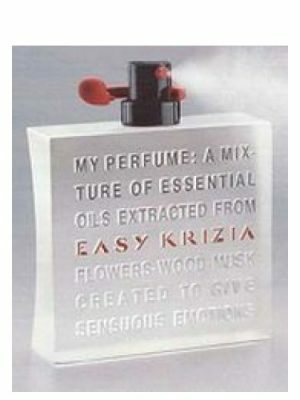 This fragrance has wonderful lasting power, just like all of the Tauer perfumes). The dry down was nice, but not spectacular. I could detect ambergris, but the patchouli and vanilla were somewhat weak. 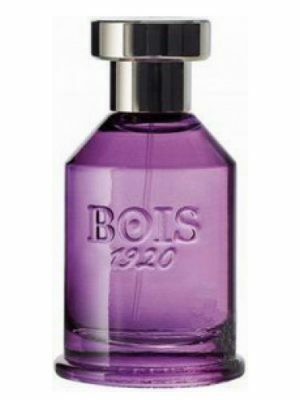 I feel this is quite a fresh fragrance, and like others have stated, good for summer wearing. This didn’t appear soapy to me at all, nor did it have a cleaning agent smell, it presented the oranges In a very professional way. 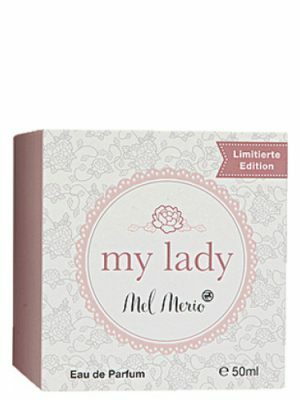 This is definitely a good unisex fragrance, as it isn’t Sweet, or too masculine. It has a softness about it, which I find very interesting for a citrus fragrance. I will be happy to wear this sometimes, for a change, and Not afraid to say, it is quite a Magical Orange! I’ve written about a couple of orange perfumes recently. (Bond no 9 Little Italy and Atelier Cologne Orange Sanguine) Neither one of them was satisfying, and both did orange an injustice. Come to think of it, I do know another solution to the orange problem perfumery. Robert Piguet Baghari seems to keep a shadowy, candied orange alive forever but this kind of magic seems to have a Faustian quality to it, so I’ll leave it be. I think Andy Tauer has found a solution to the orange dilemma. The two perfumes that failed the orange tried to treat it like a lemon and make Eau de Cologne out of it. Citrus is bright, and citrus olfactory notes are volatile. Focusing on the lightness but trying to make it last feels a bit desperate, like the search for an eternal appearance of youth. I call this the red shoes approach. Keep dancing and maybe you’ll convince yourself of eternal youth. Tauer’s solution seems more realistic but no more prosaic, and likely more repeatable to anybody who would care to investigate (ie. imitate). He neither candies the orange, nor tries to make a cologne out of it. He preserves it. In stretching out the life of the orange, Orange Star trades some of the fruit’s tartness for a luscious hint of salt, but in finding endurance it also appears to have concentrated the flavor. Playing with depth and thickness instead of sweetness, Tauer fastens citrus to amber, and finds a middle ground that is both refined and lasting. With amber’s inherent lushness Orange Star glows more than it shines. 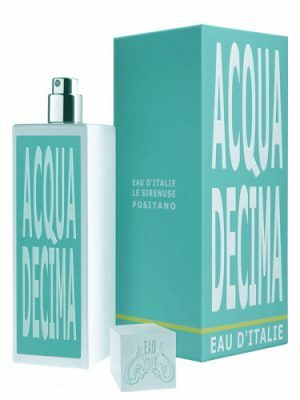 Perhaps it has less wattage than a short-lived cologne, but it also has a lithe, like sun-kissed-skin quality that makes it both playful and kinda’ hot. I’d love to smell this on someone else. Orange Star is to orange blossom as Alien is to jasmine- otherworldly! 127)De l’orange sur de l’ambre. Orange: fleur d’oranger, mandarine,… et de l’autre l’ambre: tonka, vanille, ambre gris. C’est extrèmement simple, très concentré et il tient des heures sur la peau. Mais es qu’il mérite un tel investissement? à vous de voir. Tauer Orange Star is a fairly intense orange blossom perfume. It has a density and texture in the drydown which reminds me of a bar of soap–except that it is stronger than your average bar of scented soap. Imagine a bar of orange blossom soap with twice the usual amount of orange blossom extract. The scent here is definitely orange blossom, not neroli. Because it is so thick–just like a bar of soap–the various components of this perfume are not easily separable by nose. To me, Orange Star has a rather monolithic, heavy quality. Despite its lack of mica-like peelable layers of scent. I like this orange blossom. Some reviewers have compared it to Lush Orange Blossom, probably because it, too, is quite strong. However, the scents are not identical. The Lush has a dirty demeanor which is not present in Orange Star. 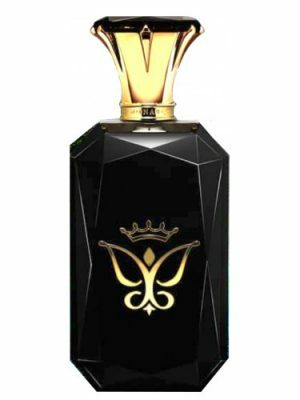 Nor is this perfume identical to Serge Lutens Fleurs d’Oranger–although that one is very strong as well. This perfume is less syrupy and never veers into suntan lotion territory. Orange Star is nothing like the sugar-coated orange blossom perfumes familiar to me (By Kilian and Le Couvent des Minimes offer two clear examples of that genre). Another comparison which comes to mind is Prada Infusion de Fleur d’Oranger, because it, too, is rather soapy. However, the Prada has a lighter, more frothy feeling than Orange Star. The Prada is also just a bit sweet (which this perfume is not–at least not comparatively) and seems more feminine to me. Orange Star offers a perfume-concentration dose of beautiful orange blossom in a rich amber base which smells more like soap than amber, in the end. I like this composition but prefer Prada’s take on the theme. Hi am selling my Andy Tauer orange star. Contact me on my account here to anyone interested. I am selling it for a good price. A beautiful perfume. It starts with bright oranges and then goes a bit softer with vanilla and ambergris in the drydown. It never loses the orange note and could be a great masculine or feminine. It’s gorgeous. 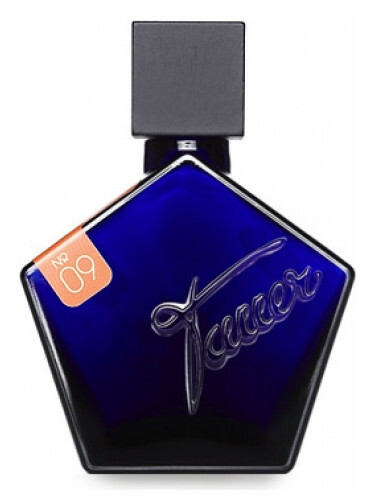 I find with Tauer fragrances that although they are expensive, they are very longlasting- in fact the most long lasting scents I have ever tried. We are talking 12-14 hours for two sprays! Quite heavy on the amber, vanilla and tonka with some orange and mandarin thrown on top. Orange blossom and lemongrass is barely perceptible. A very unique, somewhat warm and inviting sweet scent that’s a bit deep and mysterious thanks to the heavy, almost spicy ambergris and what smells like sweet incense. A few hours into the drydown reveals powdery and woody notes with hints of ambergris. Interesting is the best word for this scen, it’s likeable yet stops short of being loveable. 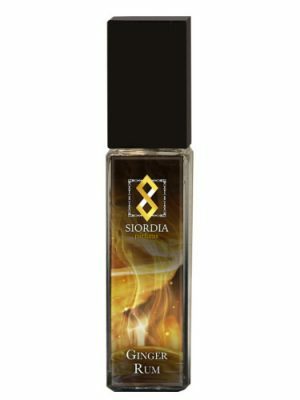 If you enjoy orange fragrances with heavy amber, vanilla and some spice or incense then check this one out. OF course, Andy Tauer is a frag genious. I appreciate all of his scents, even the ones that aren’t my favorite. This is one that I was able to try via sample. I urge everyone to try this first. At first, I was let down. It was too medicinal for me. Even the dry down reminded me of orange cleaner. I could tell is was a quality and complex scent….but it wasn’t working. Yet…I couldn’t stop myself from smelling my wrist all day! Long story short, this one is growing on me. I wear it at home for me. I’m still deciding, I think. I am surprised few have mentioned all the powder. I get SO much powder from this, it’s almost violet, but not. The amber really messes with all the orange, in a fabulous way. It’s just so…interesting! Really, Tauer is an artist. The opening smells like a mixture of Incense Rose and Eau d’epices. Tauer has a good range of scents and when it comes to oriental fragrances, I tend to heart Incense Rose over most Tauer orientals. With that being said, Orange Star gets the honorable mention nod from me. It’s sweet without being gourmandish. Longevity is about 6hrs. This could be worn all year round and suitable for any occasion. I almost bought a full bottle of this once because I was immediately blown away by it, but upon multiple testings, found it to be too unreliable. Sometimes it smells beautiful and meditative, like a swirl of cloudy orange incense billowing up into the heavens amongst orange shirts hanging on a laundry line in the summer sun. Honestly, it smells like light and airy laundry detergent on the shirt of an extremely attractive man. When Orange Star does this, I can’t help but feel like I’m falling in love–like floating on a warm breeze unable to land. Other times Orange Star is disturbingly sharp and smells like the urine of someone who drank too much Tang orange drink. I find it interesting, but has definitely a masculine side. For that reason, I wouldn’t buy it. I would like to smell it on a man, though. This is a rather simple fragrance. You have your fruit, the orange/clementine, your flower, the orange blossom, something sweet, vanilla, and something warm, ambergris. At first sniff, it smelled just like an orange scented cleaner from a supermarket. Or maybe that orange oil wood cleaner. As it develops, the orange soapiness takes a step back and the welcomed warmer sweeter notes come. But still, it is not enough to win me over, because that orange cleaner element never really leaves. Not much projection or longevity for me, but I think this is because I am using a small amount from my 1ml sample. Even if I had a few full sprays on, I doubt it would stick to my skin, as most contemporary perfume just will not stay on me. If you are like me, who always picks the orange Skittles last, or has to triple dose the soap to wash the orange smell out of fingertips after peeling an orange, then you’ll probably want to skip this one. For the people who love orange scents, it’s still a good idea to get a sample first. The unthinkable has happened: I have finished a bottle of Orange Star in about 2.5 years. This is strong stuff: no need to reapply during the day and it PROJECTS. I agree with Kterhark, this is not for apologetic people. The opening is nauseatingly sweet, the first 20 minutes feel like you are hunting for a lost orange in a syrupy honey haze. Luckily, it gets better just when I am ready to scrub it off. For the rest of the day this is a beautiful spicy amber orange. Reminds me of the taste and scent of Oranje bitter. Perfect for winter and cold autumn days, cautious application recommended in warmer climates and during summer months. I like the drydown but cannot bear the opening so very unlikely to repurchase. orange star is a beautiful fragrance. the opening is sweet mandarin and orange and bit powdery in the background. on my skin after 15mins it gets a bit softer with ambery orange. then the next 2hrs it kinda develop. i am getting a zesty smell, orange flower and then i was getting whip of a fizzy orange drink. projection and longevity are excellent.i’ll be wearing this a lot in fall. a really fine fragrance, but more for a man then for me. smokey orange peels, amber and incense is what i’m getting. a wonderful deep scent for fall and winter that is also long lasting. dries down to a woody and slightly burnt oranges scent that i would love to smell on my man, but not myself. this was very interesting to sample tho. Interesting composition, at the first sense of smell is just an annoying citrus mixture, but if I take a look into the deep of the fragrance, just worth to wait for the outcome..
Orange Star is a true oriental, deep, bold and intoxicating,an amazing marriage of the notes.As the opening is very forceful, the base is very warm and calm. After the edgy and harsh opening,the strong citrus settles down into a soft,medicin-like,smokey- powdery base. Amber paired with bitter patchuli, powdery violet, a touch of leather, orange blossom, zest of clementine and a hint of vanilla.This kind of combination reminds me of frankincense. This scent has a little gothic feeling for me,well done, complex oriental.On me it turns very masculine, but I recommend to try it because it’s a pretty good experience of the oriental perfum’s evolution. :)This perfume perfectly shows to you the typical “behavior” of orientals,- from the opening, through the heigh until the last act. This is much more than just another citrus scent! and vanilla blend seamlessly for a hint of sweetness. just under the surface.A multidimensional citrus indeed! The opening is a little orange, a little honey, and a lot of strong gasoline. It’s not like I’m not a fan of a little smoky gasoline, or odd strange openings…I like Lushs’ Breath of God after all.. But this particular combo of notes is not good, it’s pretty nasty to my nose. But I wasn’t scared off yet…I wanted to wait for the heart and the drydown. This has been on my want list for months and months and I finally got a sample, so I wanted to give this a chance. Turns out, it dries down to a soapy orange scented powdered detergent, but still has that gasoline scent to it, although that part really tames down after an hour and goes away completely during hour 2. This doesn’t go thru any changes, it stays the same throughout. It lasted about 3 hours on me, then faded alot but stayed close. For me, this is not full bottle worthy, it’s ok I guess. 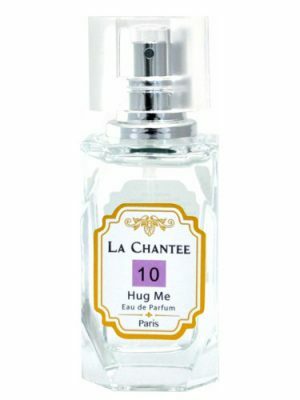 50 ml for $135 on luckyscent..that’s just too much money for this. Think about how many powdery orange soapy scents there are out there for less money, and some of them done even better than this one. After you consider that, crossing this off your list of wants is pretty easy. I love this so much! It so green and astringent and almost gasoline-esque to start with, and settles to a slightly soapy, green and bitter Orange leaf. Then the rich amber, musk, patchouli drydown comes to the fore. 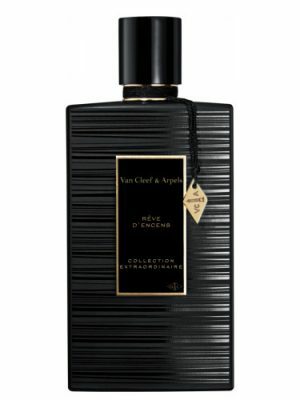 It reminds me very much of Tauer’s Incense Rose, but rather than the sweet and floral rose of Incence Rose this has greeness, violet leaf and Mandarin to add light and power to rich spicey incense base. I think this is sublime. Having gorged on my tester I must now have a bottle! Sillage and longevity are excellent. 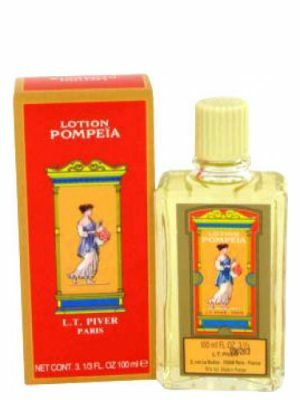 One of the scents I don’t want to analize, but just to breath deeper…The perfumery assistant told me it was a warm orange scent, but I don’t find it warm, a warm orange scent is Eau Claire des Merveilles for me (which I also adore). Orange Star IS citrusy and soapy, with a hint of amber and incense, but I don’t find that a disadvantage – it’s not ordinary or simple at all. 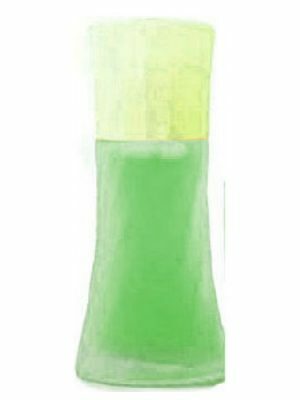 Sometimes it reminds me of a herbal shampoo we had at home when I was a child… and generally it brings back some good memories, but the image is not very clear… The drydown is similar to L’Air du Dessert Marocain, but brighter in a way. My last craving! Orange star has A LOT of passion in it. It’s definitely not joking or intends to play with you. It demands your attention and craves your skin to develop it’s rather simple structure, which is executed with the most passionate way. Orange flowers shine from the first spray, they play the leading part, and then here comes the magnificent cinnamon along with the frankincense with it’s citric background, to compliment the sour softness of the orange flowers. But what I love the most, is it’s slightly animalic side thanks to ambergris (and maybe hints of patchouly..) which boosts the whole composition sky high! It’s such a pleasure wearing Orange star.. I think I’m already addicted to it’s amazing beauty. And I think I’m going to love it for a very long time. This was love at first sight. I rarely do buy perfumes which I haven’t tried but this one made me go back to the perfume shop minutes after I went away. I wanted that lovely, chic, original, long lasting, marvellous, deep scent. I do not detect notes in particular – apart from the obvious orange – and with Orange Star I experience the miracle I only rarely have and only with few Great Perfumes (i.e. Parure, Mitsouko): Orange Star becomes you, it moves with you, it smiles with you. It develops in a totally original way I would say each different day. This is a masterpiece, after one year of intense wearing I am as much in love as the first day.